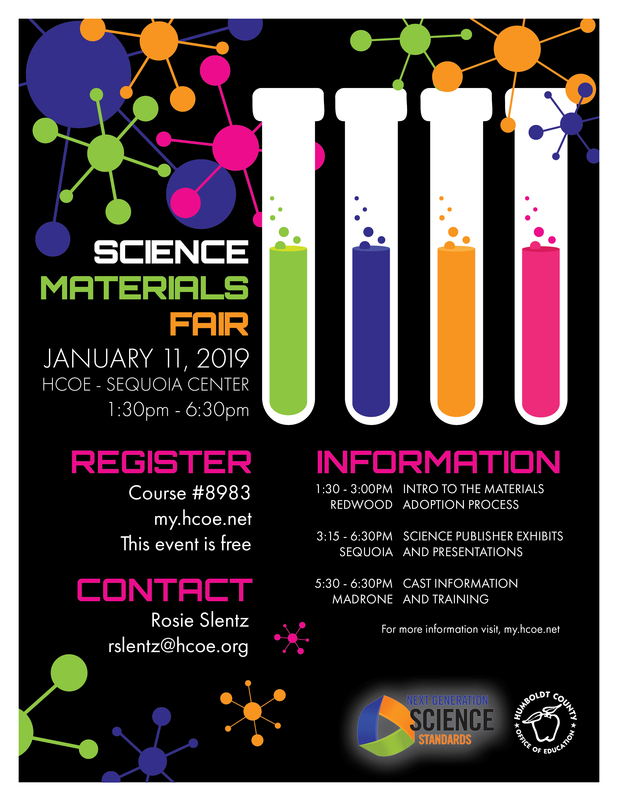 HCOE Librarian Ryan Keller will be showcasing a curated collection of books to support your NGSS instruction. Art & Science for Kids interested in Media & Education, ASK ME, is four projects for youth and teens. “The Young MediaMakers.org (TYMM)” is an educational program to teach video production and editing to ages 8 to 22 (on iPads or other computers). The Young MediaMakers program is designed to introduce and strengthen the young media maker’s use of filmic language. “The Young MediaMakers WORK PROJECT” is meant to place exemplary young media makers in internship and client based media production experiences. The Young MediaMakers annual Big Screen Showcase” is a juried showcase of MediaMakers productions. This event takes place in Humboldt County (on the first weekend in May) and serves global media makers through an online application process into the Showcase’s Junior and Senior Divisions. “The Ecology & Art Education Program” is a week-long classroom and field trip experience. this project can be tailored to coast redwood , dune or estuarine environments, but was originally designed to promote the understanding of old coast redwood ecology and provide environmental art-making lessons in poetry, music and studio arts that includes an interactive public art exhibition. Friends of the Dunes is a non-profit organization​ dedicated to conserving the natural diversity of coastal environments in Humboldt County, California, through community supported education and stewardship programs. We offer energy and engineering curriculum for all ages, and programs at our facility on the HSU campus. Nature Joe’s introduces animals and people to gain a better understanding and compassion for our fellow earthlings. Construction on the Humboldt Nature School is being completed and will open very soon. I have worked with California Poets in the Schools for twenty years, offering K-12 poetry residencies. My book, Song of Six Rivers, explores the county’s natural environment. Local Science offers a multi-dimensional place-based forest ecology curriculum available for middle school and high school teachers. The curriculum includes in-depth background information as well as data sets pulled from scientific literature and it is aligned with the NGSS. A NGSS-aligned science curriculum with a host of activities pertaining to MPAs for formal and informal educators targeting elementary education (K-5). Available for check out beginning March 2019 from Humboldt and Mendocino County Offices of Education. We have worked extensively in the Van Duzen/Eel River Watersheds teaching environmental science and getting kids out in the natural world.